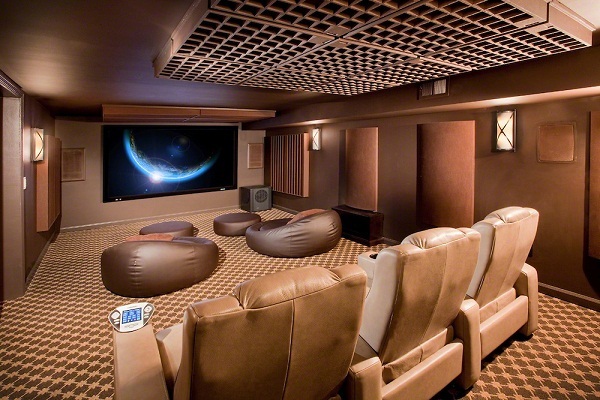 We carry the best selection of home theater soundproofing systems. 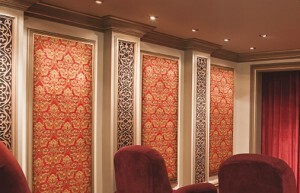 Our acoustic home theater room panels are aesthetically pleasing and customizable. They offer an elegant and economical sound absorption solution, and come in a variety of sizes, texture and shape. Keep loud sounds inside the room, so you don’t bother other people in the house. Prevent outside noise from coming in, keeping you where you should be: in the movie. Improve sound quality within the home theater itself, so the sound quality matches the picture quality. Sound absorption products control the noise that’s in the same space as you and increase the sound quality of that space. 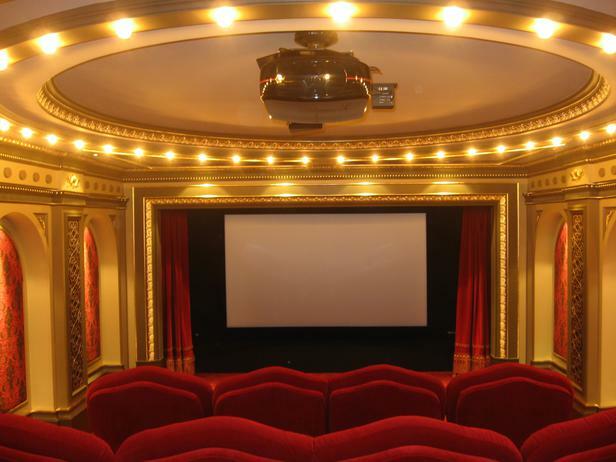 Home Theater soundproofing products stop sound from entering or exiting your space. 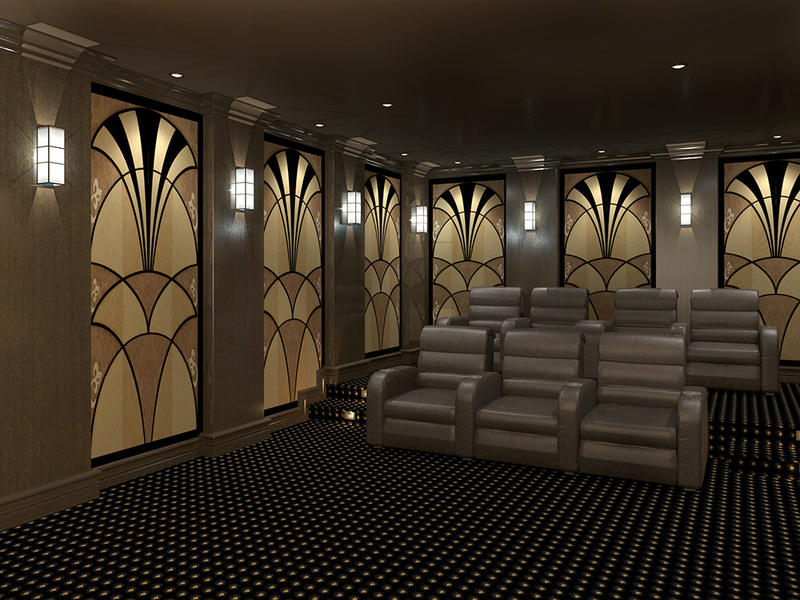 Home theater room surfaces with full acoustical coverage create the ultimate listening experience. A properly designed room provides an excellent balance of reflective, absorptive and diffusive acoustical treatments. 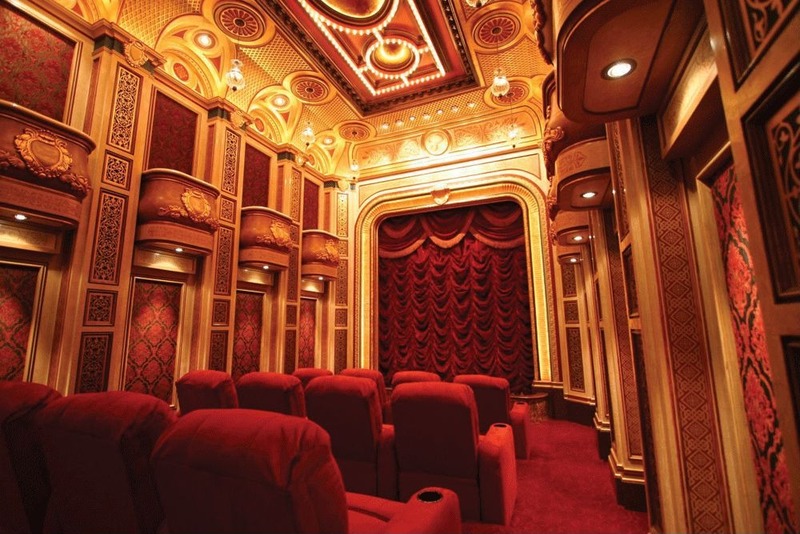 Home Theater Noise control has a variety of ways to design your home theater for beautiful acoustics and aesthetics. Economically enhance a room’s acoustical performance and visual beauty with strategically-placed wall panels and bass traps. Choose from over large variety of different acoustical fabrics in standard or custom panel designs. Noise Control solutions are designed for all aspects of your room’s acoustics so your theater sounds outstanding no matter what you’re watching. Acoustic Panel Kits are solution for a variety of applications such as Offices, Conference Rooms, Home Entertainment, Videoconferencing, Broadcast and Recording Studios, or anywhere that needs an noise control solution. Acoustic Room Panel kits absorb sound, reduce echo and improve speech ineligibility. Noise Control Acoustic Panel Kit is a configurable fabric wrapped acoustical panel system. As a DIY (Do it yourself) solution, this kit allows you to select the panel quantities, sizes and colors to meet the acoustic needs and design requirements of the room. Acoustical ceiling baffles are the best to solve any reverberation problems, in any large space. Our acoustical ceiling baffles are cost-effective way to reduce reverberation time and eliminate sound reflections from the ceiling in any environment resulting in dramatic improvements in overall acoustics, acoustic baffles ightweight, Class A fire-rated and available in various colors and sizes to meet any acoustical needs. Why Choose Acoustical Ceiling Baffles? Besides our noise control experts and their courteous assistance… With our acoustical ceiling baffles & acoustical banners you can create unlimited architectural effects that improve sound quality as well as the spaces aesthetics resulting in an ideal acoustical environment. What Types of Ceiling Baffles are Available? Sound Absorpbing Ceiling clouds are a very effective treatment for the reduction of sound in ceiling areas. attachment mounted to the cloud at the time of shipment. Face & edges are wrapped in fabric or perforated vinyl t o match or accentuate the room design. Acoustic Curtains reduce reverberation and echo, as well as reduce interference from outside noise. Acoustic Curtains have tested NRC values (up to 1.00 NRC) to provide precise acoustical control and flexibility. Acoustic Curtains work due to our unique combinations of fabrics, lining and construction. 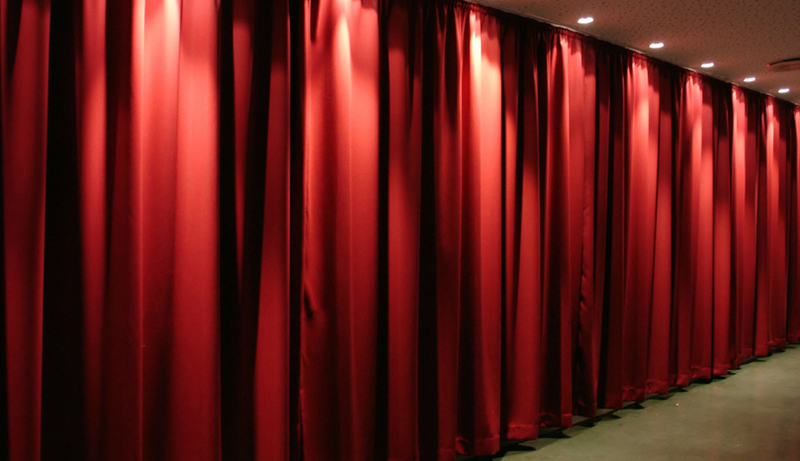 Acoustic Curtains are custom made to our clients’ specifications for size, type of construction and fabrics. We will help you choose the right curtain to achieve both the noise control and the best look for your environment and budget. We will also help you with get the right tracks and mounting hardware for your Quiet Curtains. Our acoustic wall panels allow you to create a better sounding environment while simultaneously enhancing the decor of the room. In order to control reflections and excessive reverberations we offer custom made absorptive panels with ease of installation. The use of acoustical panels improves the sound and aesthetic quality of your entertainment space. They also offer an attractive solution to improve tonal balance and movie intelligibility, while minimizing sound reflections. We also offer diffusion panels in order to prevent the room from becoming acoustically ‘dead’. Customized, fabric-wrapped acoustical panels provide an attractive and cost-effective way to completely cover your home theater surfaces for exceptional acoustics.